With the cold weather here rodents are making their way into our homes where it’s warm and cozy since they hate being out in the cold just as much as we do. Not only are they annoying to have in your house, they can actually pose health risks to you and your family. Rodents can carry diseases that they are immune to but humans can get really sick from. Hence, it is important to make sure you remove them completely from your living space with the help of an expert mice removal in Milton. Here are some of the risks you’ll be facing with rodents in your home. Mice are capable of eliminating their waste about 70 times each and every day, which is a lot of droppings around your home. Rodent droppings can trigger allergies if your family members have them, plus they can transmit some food borne illnesses like salmonella. This virus is primarily found with rodent infestations in and around the home, and is transmitted when rodent urine, droppings or nesting materials are stirred up, become air borne and are then inhaled by humans. Additionally, if a rodent that is infected with this virus bites a human that person will become infected as well. Some research has shown that people most often become infected when they eat food that has been contaminated with rodent urine or droppings. 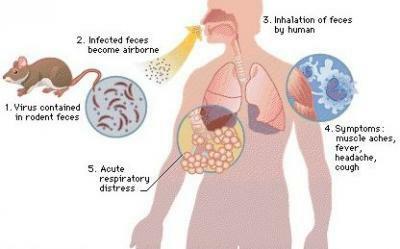 This virus, and its symptoms, will develop about a week to five weeks after exposure to the urine or feces. If the Hantavirus isn’t treated properly it can develop into HPS, which is a severe respiratory infection that can be fatal in some cases. Symptoms of this virus include fever, fatigue and muscle aches. You may also experience nausea, vomiting and diarrhea. Several days after these symptoms, you’ll experience coughing and shortness of breath which eventually will lead to severe respiratory distress. While there isn’t a specific cure for this illness, early detection is key to getting better and treating the illness. This illness is usually carried by mice, but other rodents can become infected via interaction with mice who are already infected. There have been cases of infection confirmed from contact with pet rodents, like hamsters. LCM is transferred in the same way that Hantavirus is: through urine or feces becoming airborne and humans breathing it in, or it could be contracted if a rodent bites a human. An LCM infection has two parts: the first part will display symptoms like headaches, nausea or vomiting. In the second phase of this illness, people infected may develop meningitis or encephalitis – both of which leave people incredibly sick. This illness, though, is rarely fatal so it can be treated once a person is diagnosed. The best way to prevent you and your family from getting sick is to check your home regularly for rodent infestations and, if you find one, contact a pest control company like Acme Pest Solutions right away for mice removal in Milton. Previous Previous post: Get rid of ants easily in just 10 different natural ways! Next Next post: Why Hire Our Professional Pest Control Company?